Leverage – Seeking to provide “seed” or start-up money in such a way as to result in substantially more funding than that initially provided. This is accomplished by focusing on charitable organizations and institutions whose activities are themselves highly leveraged, by providing matching grants/funding, and by using a number of other innovative approaches and techniques. Clarity – Focusing on problems/issues, and related charitable activities, which offer a clear strategy and solution, to an equally clear social problem. Simplicity – Favoring projects that offer straightforward, problem-solving approaches with an effective and near term outcome or impact. Effectiveness – Requiring a direct and concrete connection between the expenditure of funds and their immediate or near term effect. Special attention is given to low administrative/overhead cost candidate organizations and institutions. Accountability – Emphasizing the funding of organizations, institutions, individuals and families directly responsible and accountable for the effective use of resources. Necessity – Wanting to be satisfied that the need for funding is clearly evident and that the funding being sought cannot readily be obtained from other sources. The Foundation’s most important guiding principle is that it seeks to engage in philanthropic activities and to fund charitable organizations and institutions that have demonstrated they are self-sustaining, or clearly have the potential to become self-sustaining, or that focus on self-sustaining operations and activities. Accordingly, the Foundation’s primary focus is as a non-profit lender dedicated to strengthening the economic base of low income, disadvantaged and minority communities, primarily within the U.S., but also in developing countries. The Foundation has a keen interest in supporting charitable organizations and institutions that have developed clear and effect-ive economic development programs. To this end, the Foundation provides financial support, usually in the form of low interest rate loans known as Program Related Investments (“PRI’s”), to a variety of 501c3 tax exempt charitable organizations and institutions. In addition to its PRI program funding, the Foundation also makes charitable grants in the areas of edu-cation, health and housing. The Foundation has made grants (in the form of merit-based college scholarships) to low-income San Francisco Bay Area students, as well as to performance arts programs providing economical access to lower income individuals and families. 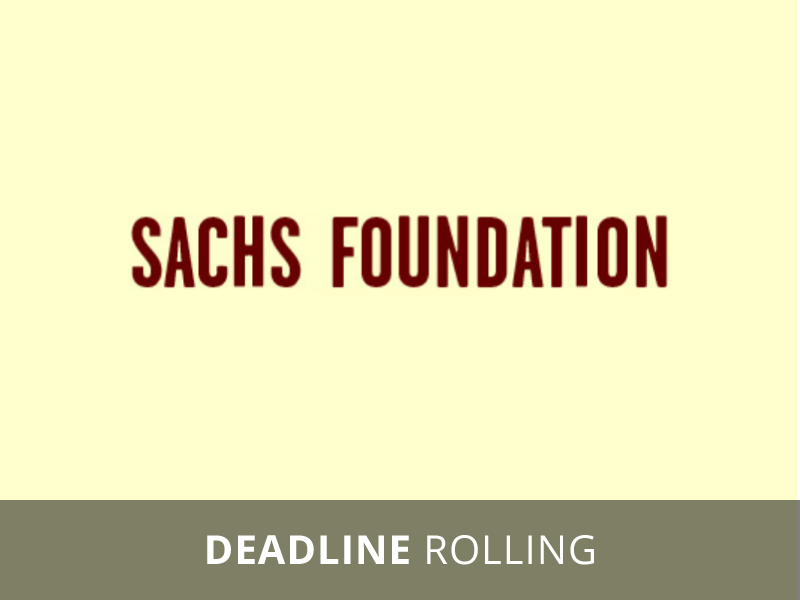 The Foundation will also consider grants outside of its established guidelines, provided it can be demonstrated that the grant will be of significant assistance at a critical time in the development of an idea or project that has the clear potential to become self-sustaining/self-supporting.